If there is one word to describe the government's activities during the last week of martial law for 2017 it would have to be "reactionary." Why was there ever a ceasefire in the first place? Does Duterte know the story of the woman who nursed an injured snake back to health and as she lay dying after it bit her she asks, "Why? ", and the snake says, "Lady, you knew I was a snake."? 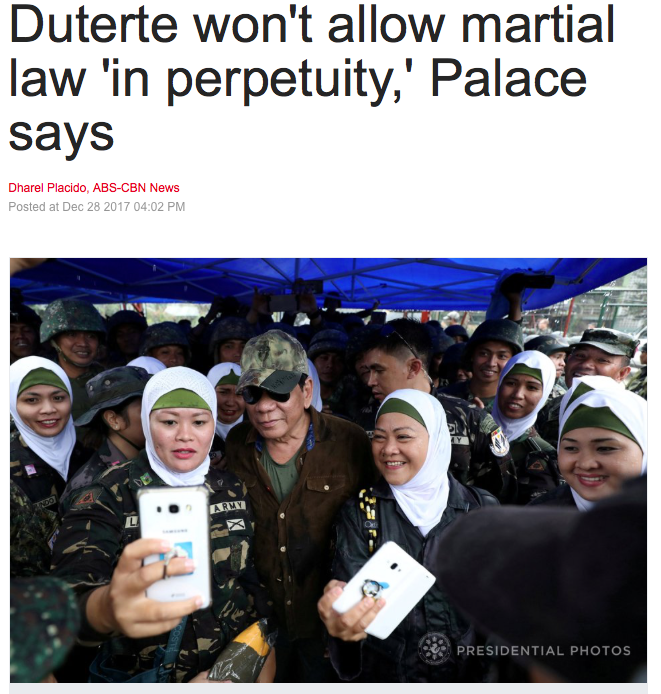 then the AFP and Duterte should know a ceasefire is a wholly useless gesture. Let's face it, the Philippines has no use for the UN. 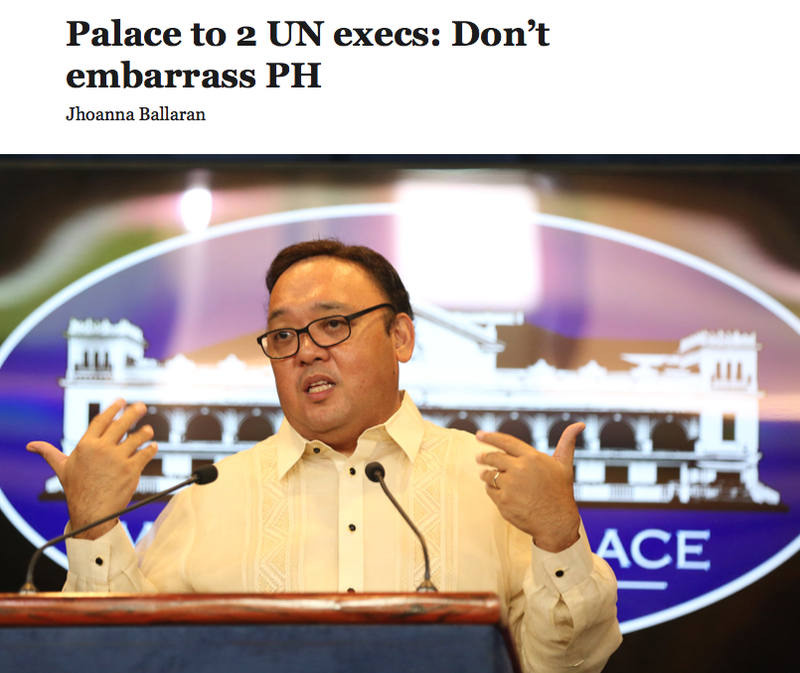 Not even when the UN is in the Philippines' favour as in the SCS dispute with China will the Philippines show the least respect for the UN. 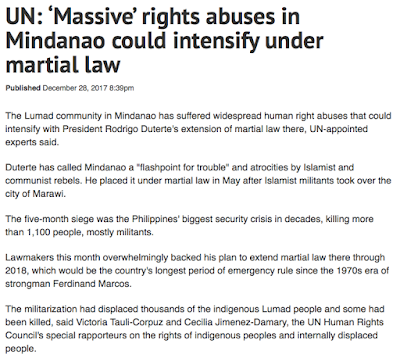 So when the "UN Special Rapporteur on the rights of indigenous peoples" issues a report that the rights of the Lumad people are at currently at risk and could face even more risk as a result of an extended martial law the Palace takes it as a great affront meant only to embarrass the administration and not the end result of a study of the situation of these people. Teo added that the Marawi crisis, which officially ended in October as the government shifts to rebuilding the battle-scarred capital of Lanao del Sur, and threats to peace and order, especially in the southern Philippines is also among the problems the tourism sector faces. Misconceptions? The governments of several nations have issued travel warnings for the Philippines which are based on facts. Let's take a look at some of them. Recent terrorist threats, kidnappings, and bombings have occurred throughout the Philippines. U.S. Embassy Manila received credible information that terrorists planned to conduct kidnappings in Palawan, Cebu, and Bohol provinces in 2017. 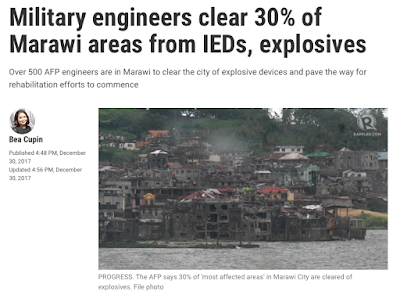 In November 2016, a terrorist group planted an Improvised Explosive Device near the U.S. Embassy in Metro Manila. In April and May 2017, bombings in Quiapo, Manila killed two and injured twenty. Exercise a high degree of caution in the Philippines due to the threat of terrorism and the high level of crime. Here is a very detailed list of the security risks of travel to the Philippines compiled by the Canadian authorities. Terrorists are very likely to try to carry out attacks in the Philippines, including in Manila. Terrorist groups continue to plan attacks and have the capacity and the intent to carry out attacks at any time and anywhere in the country, including in places visited by foreigners, like airports, shopping malls, public transport, including the metro system, and places of worship. You should remain vigilant at all times and report anything suspicious to the local authorities. There is a high threat of terrorist attack in the Philippines, including Manila. Exercise heightened caution at this time. Be alert to possible threats around locations that have a low level of protective security and places known to be possible terrorist targets. The level of our advice has not changed. Exercise a high degree of caution in the Philippines overall. Higher levels apply in some parts of the country. 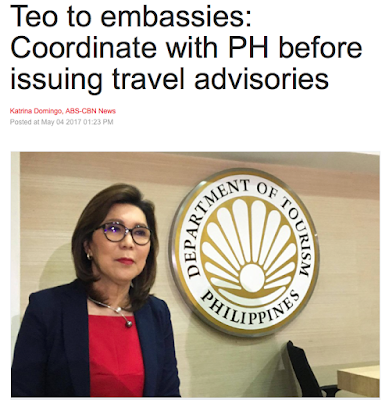 It's not just Western countries which have issued travel warnings to the Philippines. China, Japan, Singapore and South Korea have also issued travel warnings. The reaction of the Department of Tourism? 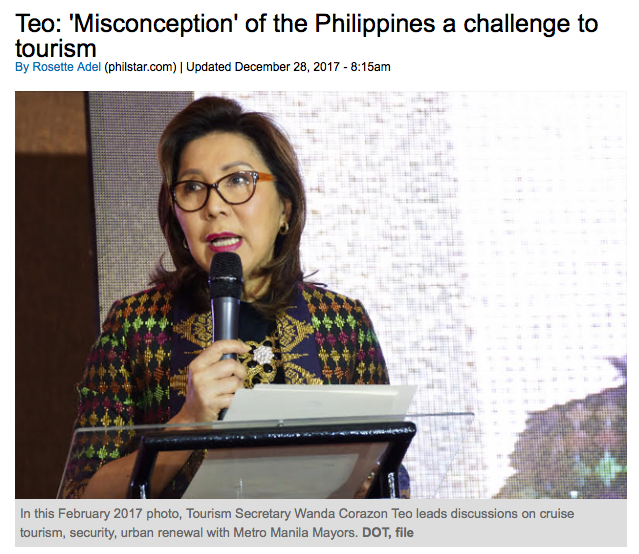 Why is the Philippines so desperate to be a tourist hotspot but unwilling to do things which will secure tourists from harm? This reaction from Calida is a much more harsh and critical turn from his previous lighthearted statement to the opposition, "Good luck!" 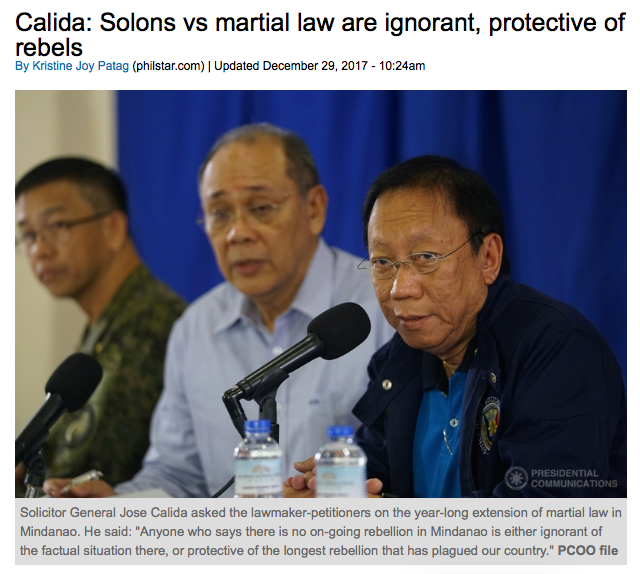 "Anyone who says there is no ongoing rebellion in Mindanao is either ignorant of the factual situation there, or protective of the longest rebellion that has plagued our country," Calida said in a text message to reporters. Calida is correct. 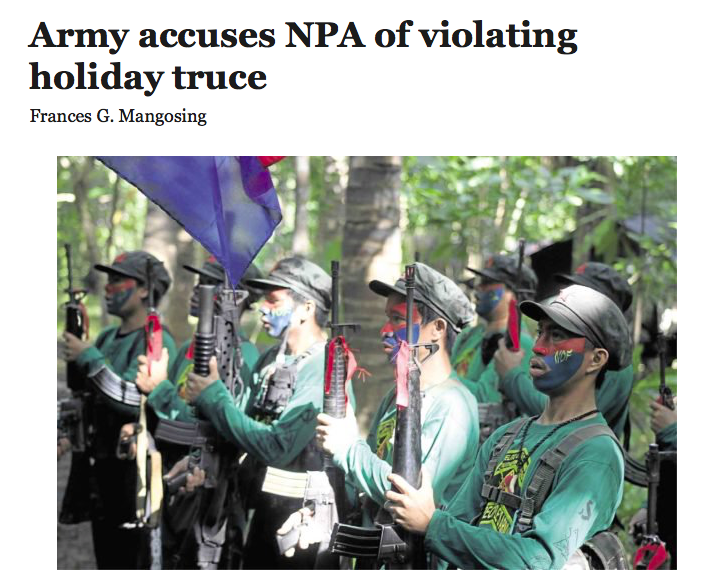 There is an ongoing rebellion in Mindanao. 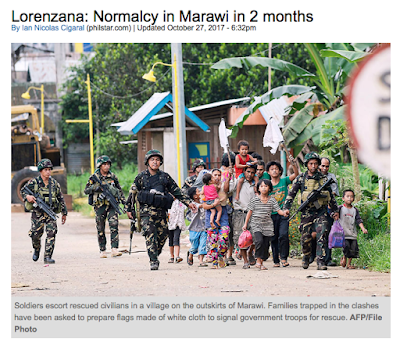 The Moro conflict is an insurgency in the Mindanao region of the Philippines. 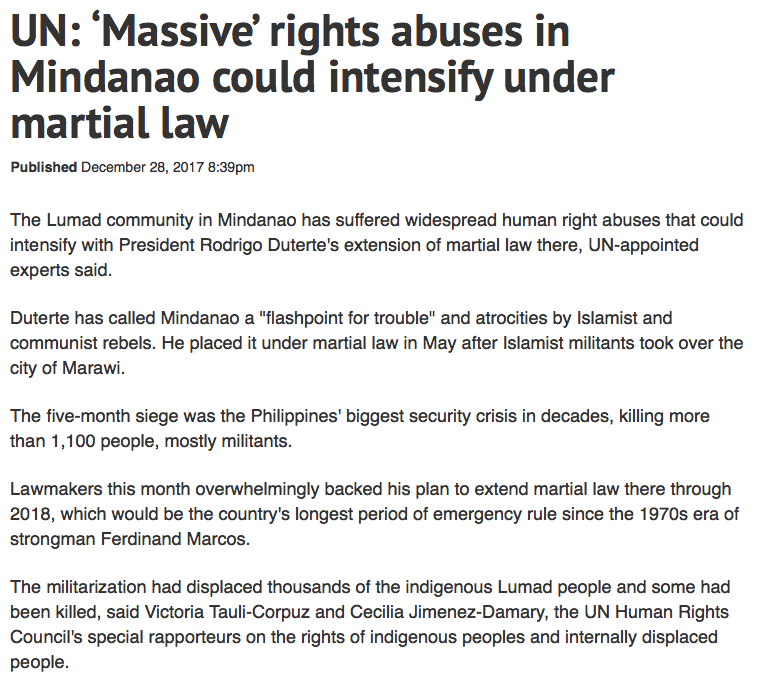 For more or less 500 years now there has been an ongoing rebellion in Mindanao. Is that reason enough to impose martial law? Calida seems to think so. “The argument that this rebellion can be quelled in 60 days is asinine,” he said. While Marawi City was already liberated by the armed forces last October, Calida said there was still an “on-going” rebellion in Mindanao. “In fact, the rebellion staged by various secessionist, jihadist, terrorist and communist groups in various places in Mindanao has been festering for several decades now,” the solicitor general said. 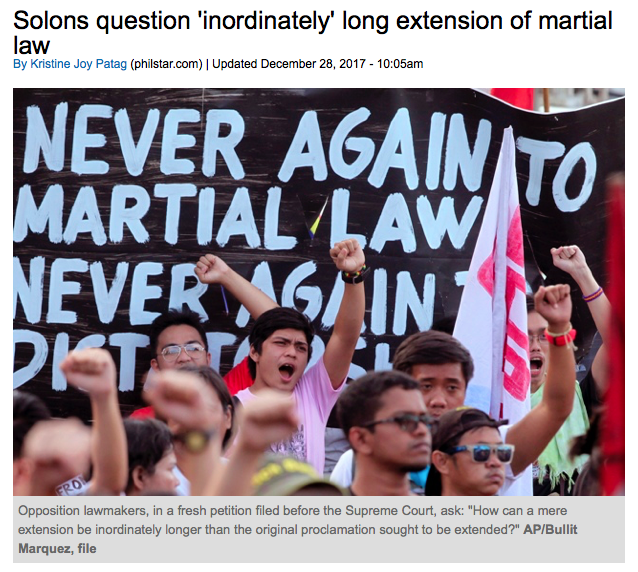 Calida and everyone else who supports a year long extension of martial law should welcome the challenge before the Supreme Court because whatever the decision a legal precedent will be set which will be a guiding course for the future. 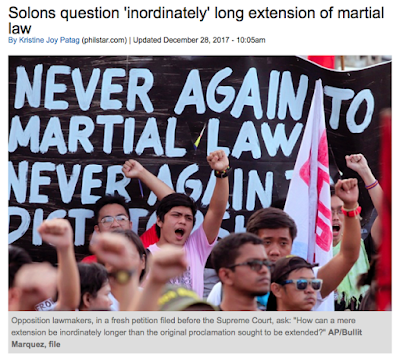 If the Supreme Court rules in favour of the extension there would be no reason not to have perpetual extensions until the rebellion is wiped out. Duterte has already failed to deliver on many of his promises so why should anyone believe this one? 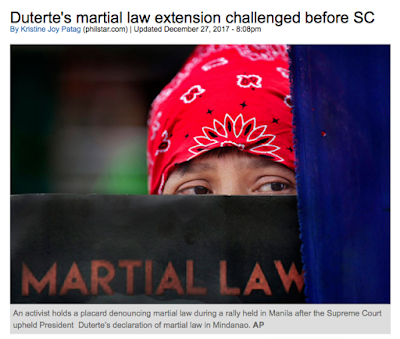 This is the last week of martial law in 2017. 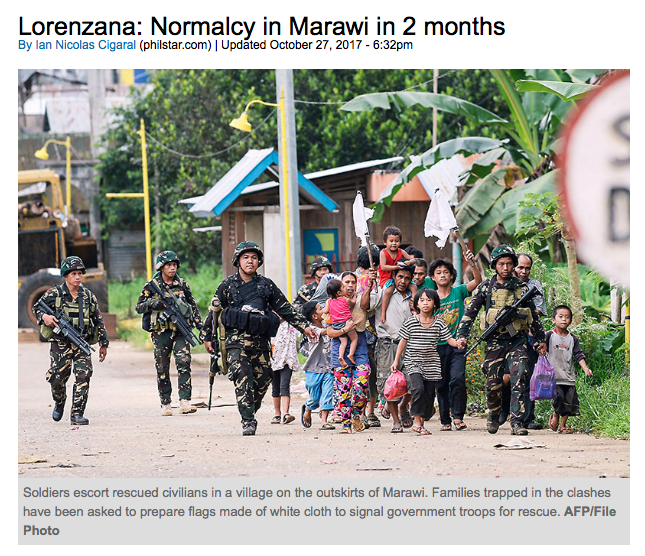 It has now been two months since the liberation of Marawi. 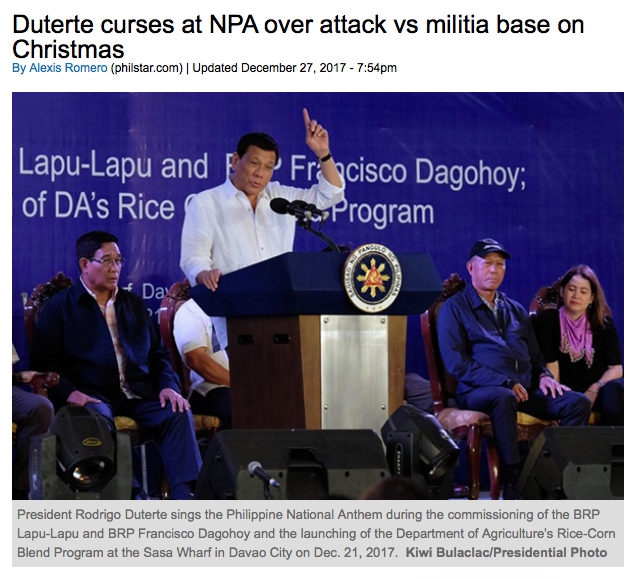 Does anyone remember what Lorenzana said shortly after the end of the battle? Is this true? Has normalcy returned two months on? 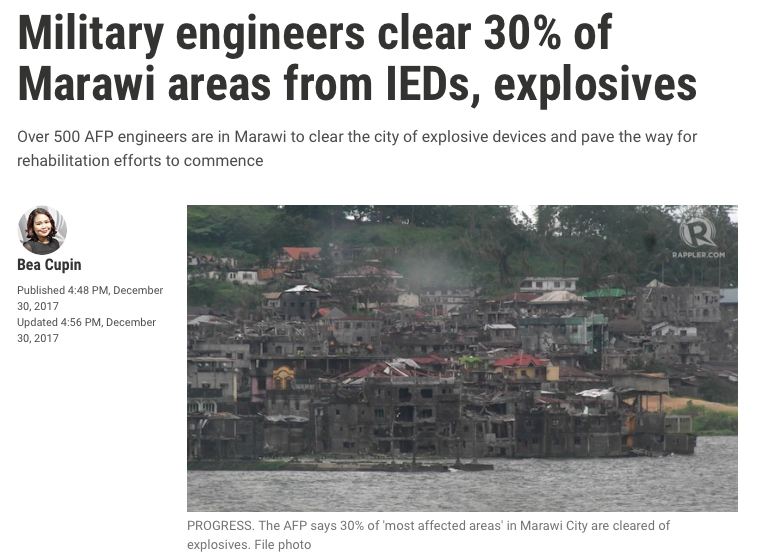 With rhe city still not clear of IED's, with Marawi residents still living in shelters, with reconstruciotn to having begun, with a year long extension of martial law the answer is plain: No. I saw in today's Inquierer that they are already talking about extending Duterte's term in office. Google Duterte term extension. They are considering scrapping the elections in 2019 and extending everybody's term. It's all dependent upon whether or not they can write a new constitution in time which will contain these provisions. Then the people have to vote on this constitution just like 1987. It's all about the push to federalism as if that will solve all the political and economic problems in the country. 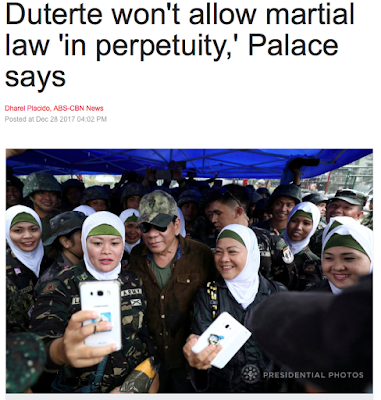 Duterte even thinks federalism will end terrorism.